Negotiations aimed at resolving a months-long crisis in Nicaragua stalled Sunday when the opposition called on President Daniel Ortega’s government to release all political prisoners before any new talks. The opposition Civic Alliance for Justice and Democracy said it would “return to the negotiating table only when the government of Nicaragua provides the country with convincing signs they want to find solutions to the crisis,” which began in April 2018. 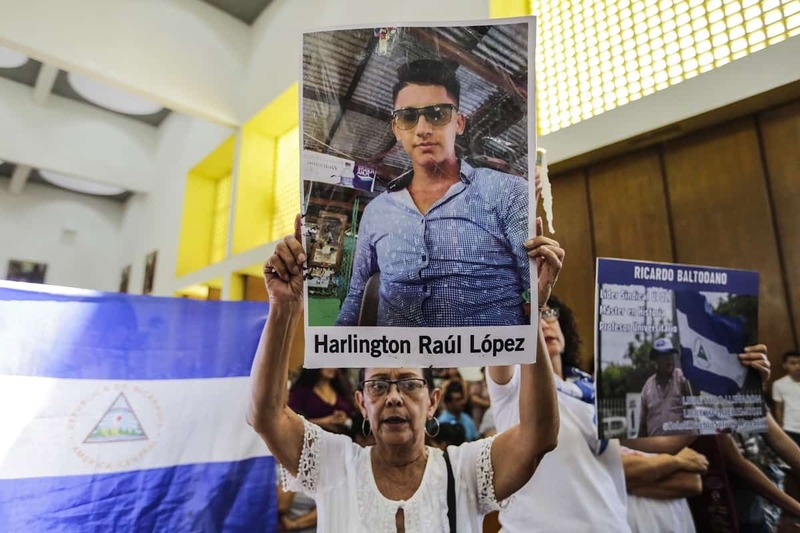 Months of protests across the Central American country against Ortega’s leftist government have led to a brutal crackdown on the opposition and independent media that left more than 335 people dead. Hundreds of opposition figures were thrown in jail and more than 50,000 Nicaraguans fled the country. The Civic Alliance — which brings together entrepreneurs, students, rural communities and civil society — is seeking the release of all political prisoners, along with an “end to repression and arrests” of anti-government protesters. The 73-year-old former guerrilla however again said he would not organize early elections, which the opposition wants to see this year. The opposition’s withdrawal from the talks comes after the country’s influential Catholic bishops said they would no longer participate. Several rounds of negotiations in recent months have yielded no solution. A representative of the Organization of American States (OAS) was due in Nicaragua on Monday to meet with the players to determine if the group should get involved in the negotiations. The opposition had asked that the OAS and the United Nations act as guarantors of the peace process, so that any eventual agreements are upheld. The government has opposed such a move.